ghd Celebrity hairstylist Owen Gould spent yesterday, December 7 with Olivia Culpo helping her get ready for her event-filled day! 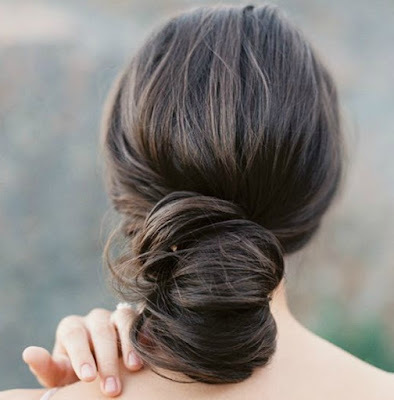 Opting for two very classic hairstyles, Team TME thought that these would be perfect to share as we go into the holiday party and event season. Olivia Culpo was a very busy lady yesterday and appeared at ICAP Charity Day + the Reebok event with Gigi Hadid looking absolutely gorgeous, as usual, with a simple yet elegant Classic Chignon hairstyle. Since Olivia was headed from a charity event to a sportier party, Celebrity Hairstylist Owen Gould wanted to create a sophisticated hairstyle that would complement any outfit. Step 1: To start, I blew out her hair straight with the ghd Air and the Oval Dressing Brush for smoothness. Step 2: Once her hair was dry, I created a deep side part and straightened her hair in one-inch sections using the ghd Platinum Styler to smooth out her ends. Step 3: Then, we curled the ends of the hair using the ghd Curve Classic Curl Iron, this ensures that the ends stay smooth and together for an easier chignon. Step 4: Next I pulled all of the hair in a low ponytail at the nape of the neck and then twisted the remaining hair in a clockwise position and secured the style with bobby pins. Step 5: Once the hair is tightly secured, I spritzed A little hair spray to smooth the fly-aways and she was ready to go! 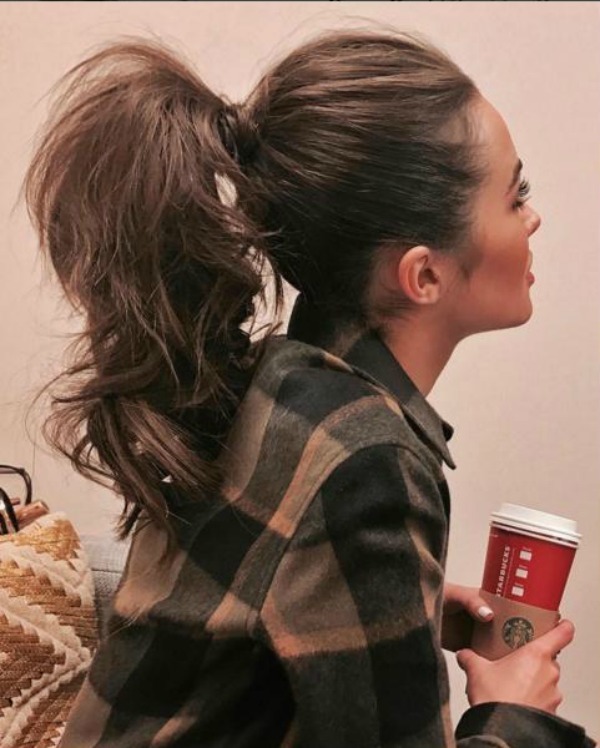 Olivia Culpo then appeared on set for a taping of “Beat Bobby Flay” this afternoon sporting a playful, high-textured ponytail. Celebrity Hairstylist Owen Gould wanted to create a fun, youthful hairstyle to complement her outfit. Step 1: To start, curled her hair in two-inch sections using the ghd Curve Creative Curl Wand to create texture and volume. Step 2: Once the texture had been added, I swept the hair into a high pony. Step 3: After securing the hair, I teased it just to give the pony a little extra volume and finished with a light hold hairspray. ghd products, referenced above, are available online at ghd and select locations around the globe!